As a runner, Pilates student, yoga teacher and all around gym rat, I spend a significant amount of time dressed in athleisure. I’m exceedingly picky about workout wear, probably to the point where I might be considered somewhat obsessive. I demand my gear be comfortable, functional, flattering at the start and end of a workout, as well as easily washable. Did I mention stylish? 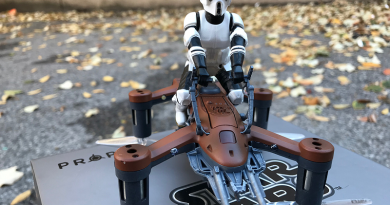 Stylish is a requirement as well, preferably something unique. I’m always trying different brands, especially if something appealing catches my eye. 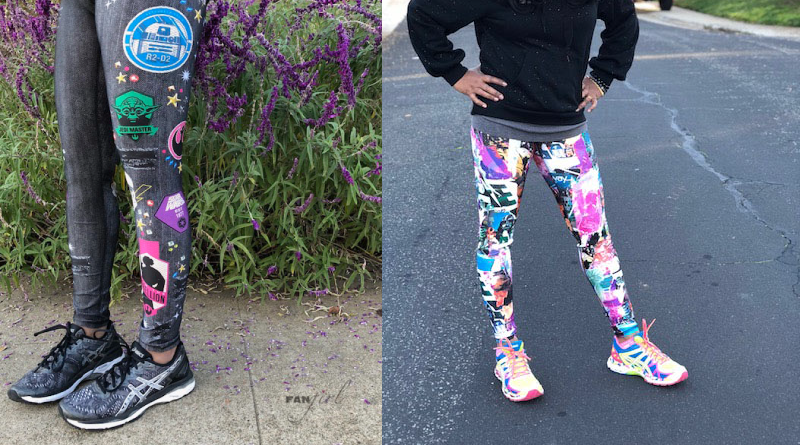 Last summer, I saw a pair of leggings called “The Admiral” by Terez, a brand know for vibrant, fun and distinctive designs. They reminded me of my favorite Chiss Grand Admiral so I bought them, not expecting too much. To my surprise, they became one of my favorite leggings: smooth to touch, stretchy but not see through, flattering without any rolling and they washed without stretching out or fading. As a bonus, I got a lot of compliments on them at the gym. I liked them so much that I ended up adding more Terez to my regular rotation of gym wear. There is also an adorable five legging collection for girls and kids. 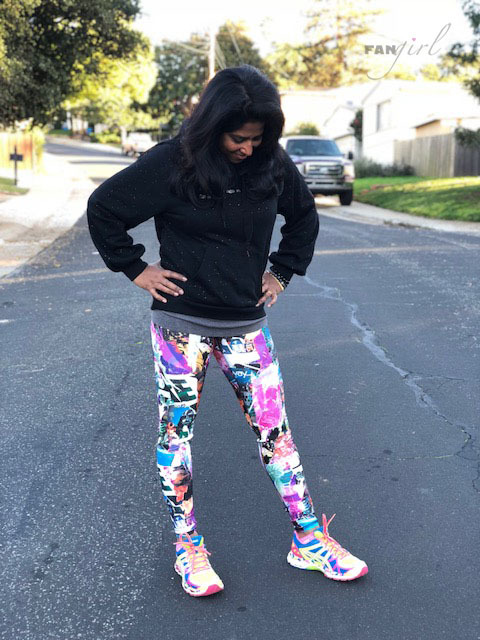 I tried the Scrapbook Tall Band leggings and Jedi Mind Trick leggings. Like my previous Terez leggings, these have washed well and are comfortable. I chose the Scrapbook leggings because they were out of my comfort zone with the all over pattern and pink and white color scheme, but they are perfect for spring and for brightening up dreary January days. I also wanted to try the tall band, a thicker waistband, which I hadn’t tried before. Between the tall band and regular band, I prefer the regular band, though it’s probably only because I’m used to them. Both styles are high waisted on my short waist. Most importantly, both bands don’t roll. The Jedi Mind Trick leggings are my favorite. 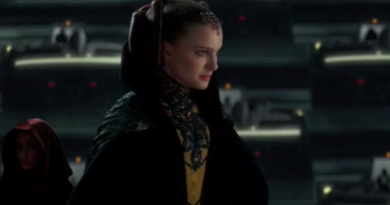 The “patches” are Imperial and Rebel and are cute without being cutesy. They run down the sides of the leg on top of a black/dark grey “denim” pattern. The leggings are true to size. In Lulu leggings I’m a 4/6. I went with size medium because I hate any cutting in at the waist while I’m working out, but size small would have been fine, especially in the tall band. 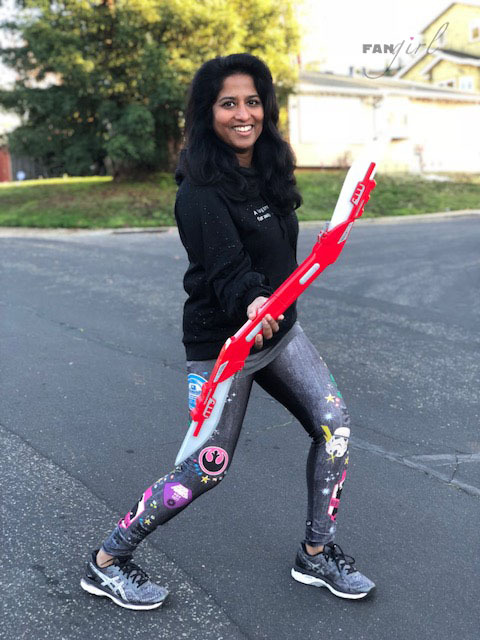 I also like that the leggings are made in the USA and unlike some recent Star Wars collabs, if the leggings run out online, Terez.com does frequent restocks. 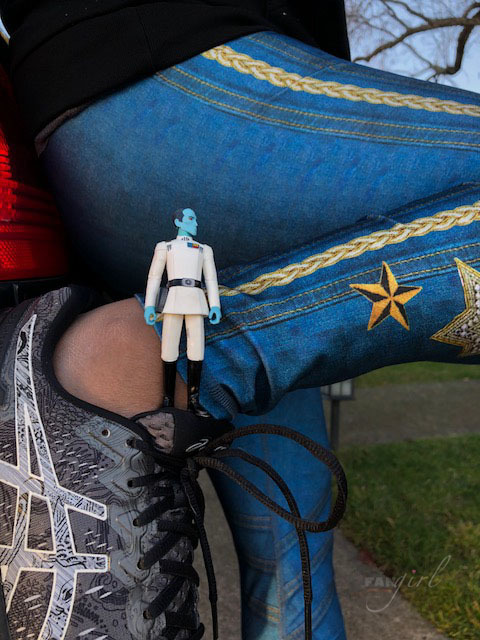 I give the Terez Star Wars capsule a big thumbs up for great wearing, good looking, hard working leggings that are fun and let me share my love for Star Wars stylishly.